I’m all about keeping it simple this summer. It was a great school year but it just gets so busy toward the end and I’m looking forward to a big sigh of relief at the close of this week. Our plans so far include some hikes, picnics, pool, lots of arts and crafts and perfecting the art of folding laundry as well as loading and unloading the dishwasher. (As you might have guessed, those last two items are for my 8 year olds and they are not nearly as excited about them as I am.) Yes, I am aware how blessed we are. I am also aware of how ready we will be to get back in the school routine in the fall but for now… ahhhh. 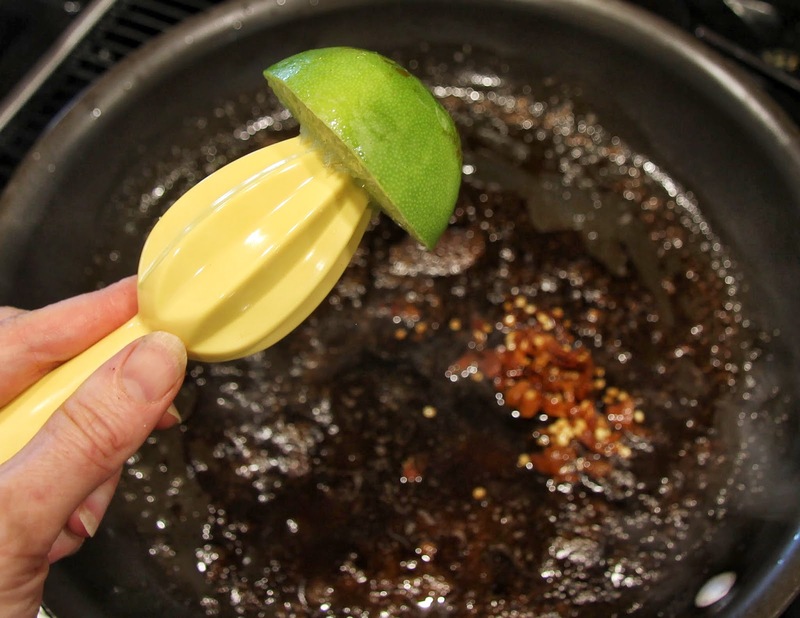 I’m also all about keeping it simple in the kitchen which is essential in the summertime. I hope to find the time to post lots of fast, fresh, easy recipes to inspire you in your own kitchen… We’ll see how I do, “lots” may be a lofty goal but I promise at least a few. 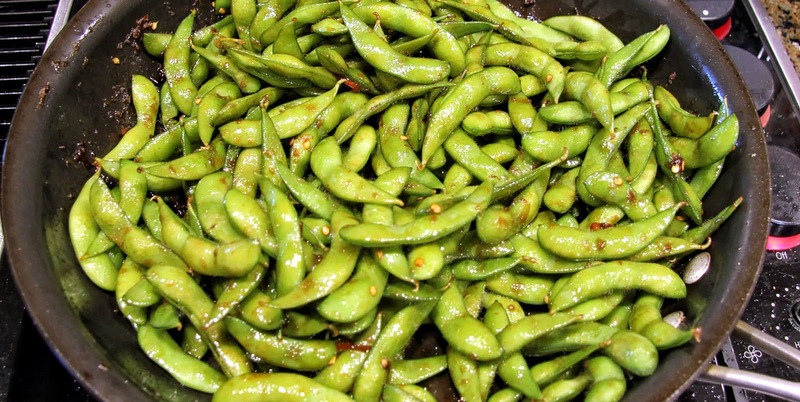 This edamame recipe is fast and easy, if not fresh (I use frozen). The spicy, salty, sweet and nutty combination of the peppers, soy sauce, brown sugar and sesame oil is quite addictive but it’s such a healthy snack you needn’t give it a guilty thought! Serve it at any temperature you want, it’s good hot, cold or in between and it should keep nicely in the fridge for a couple days. 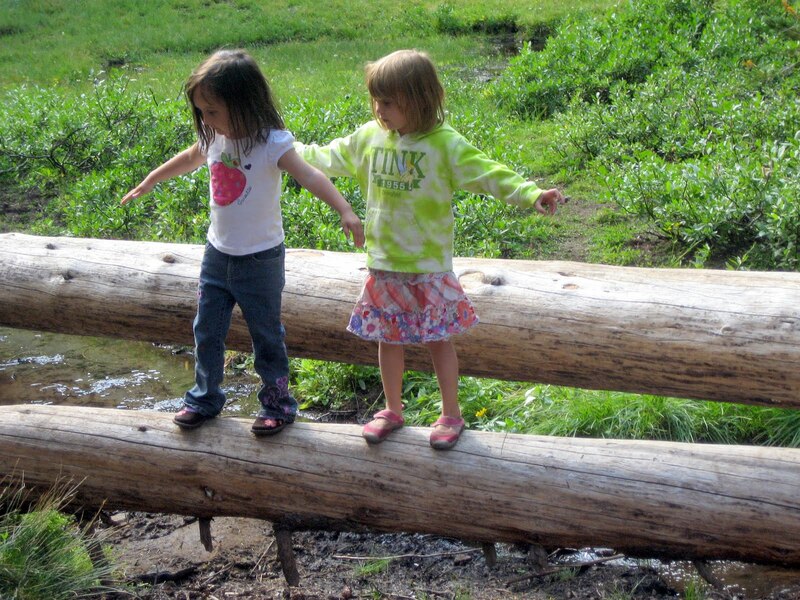 My girls at Three Creeks Lake, Summer 2011… seems like yesterday! The days are fleeting – enjoy every moment you can! 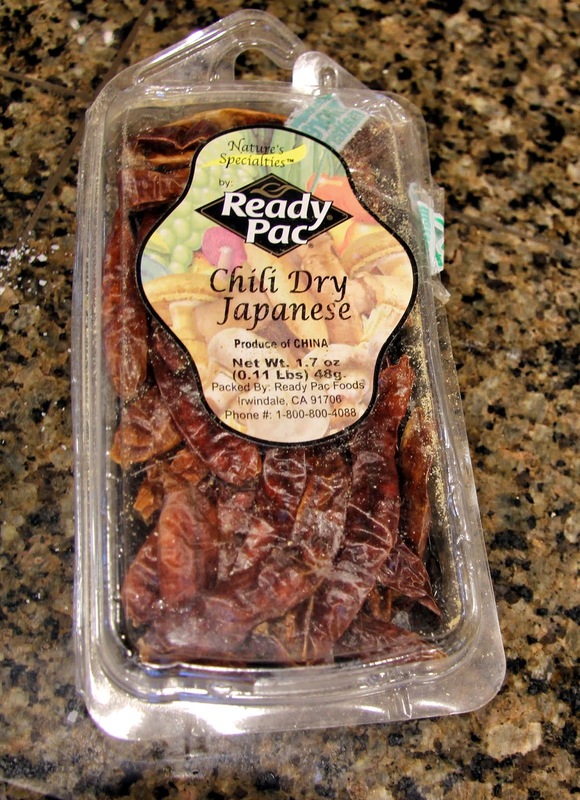 You should be able to find these Japanese peppers in your grocery store, I found these at Safeway. To rehydrate them, simply place them in a microwave safe bowl (I use my Pyrex measuring cups for this kind of thing), cover them with a few inches of water and microwave on high just until the water boils (the time will vary depending on your microwave but it should only take about 2 minutes). 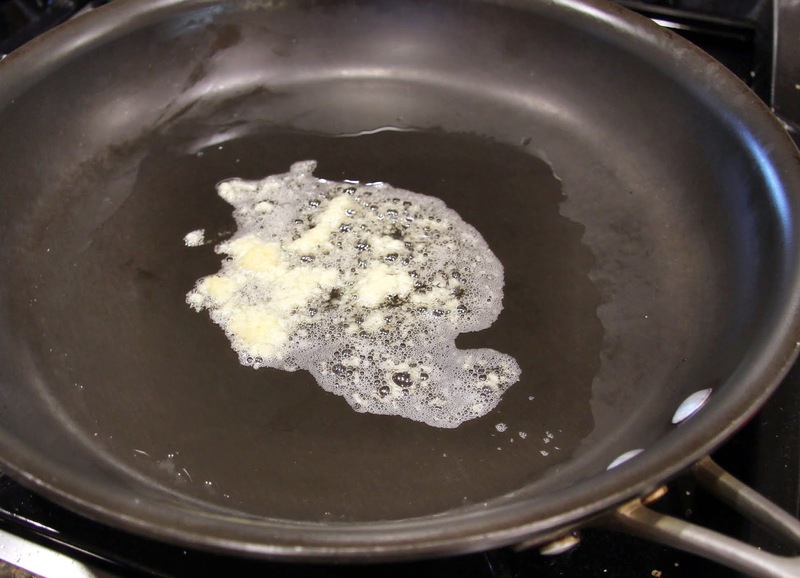 You can also just pour boiling water over them if you don’t want to use the microwave. 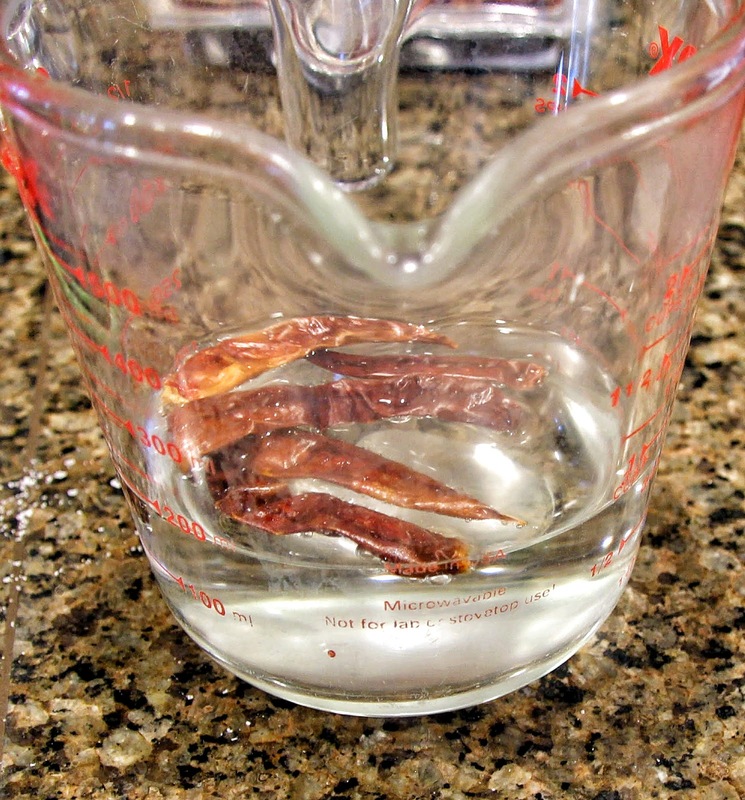 Once the water has boiled, set aside and allow the peppers to steep and rehydrate for 10 – 15 minutes. 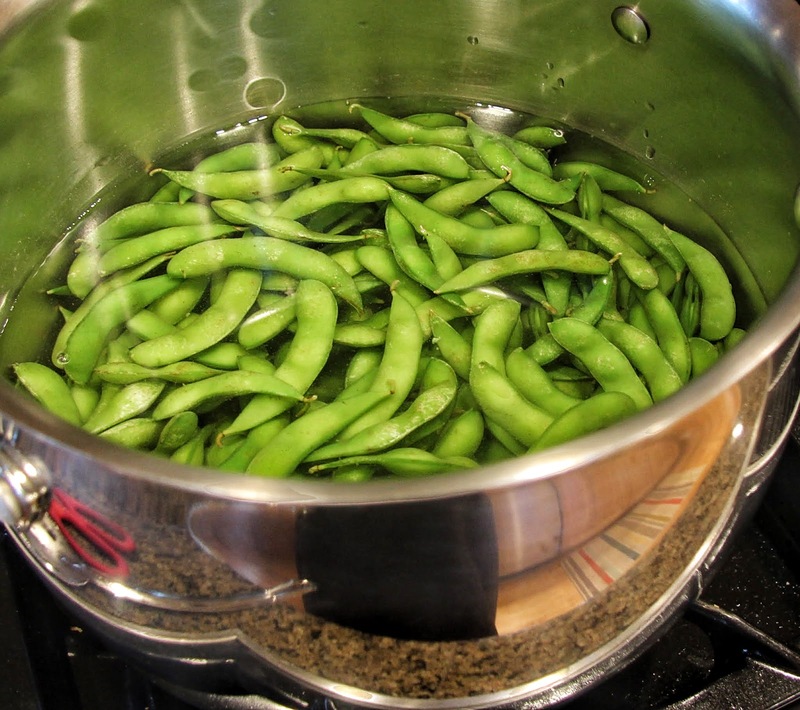 Meanwhile, bring about 4 quarts of water to rolling boil in a large saucepan, add frozen edamame, bring back to a boil and cook for 2 minutes. 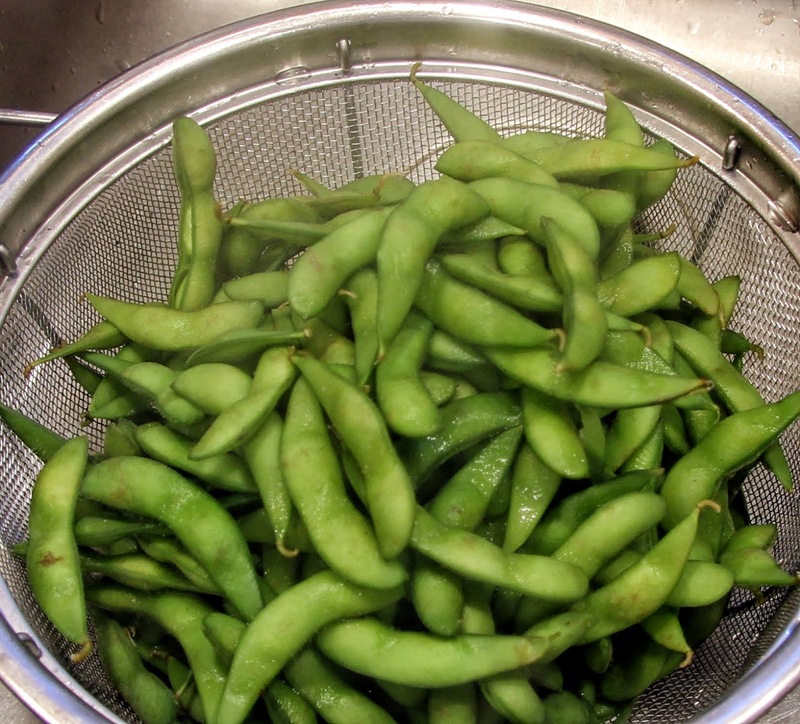 Transfer to a large strainer/colander, rinse with cold water to halt the cooking then allow water to drain off the edamame. 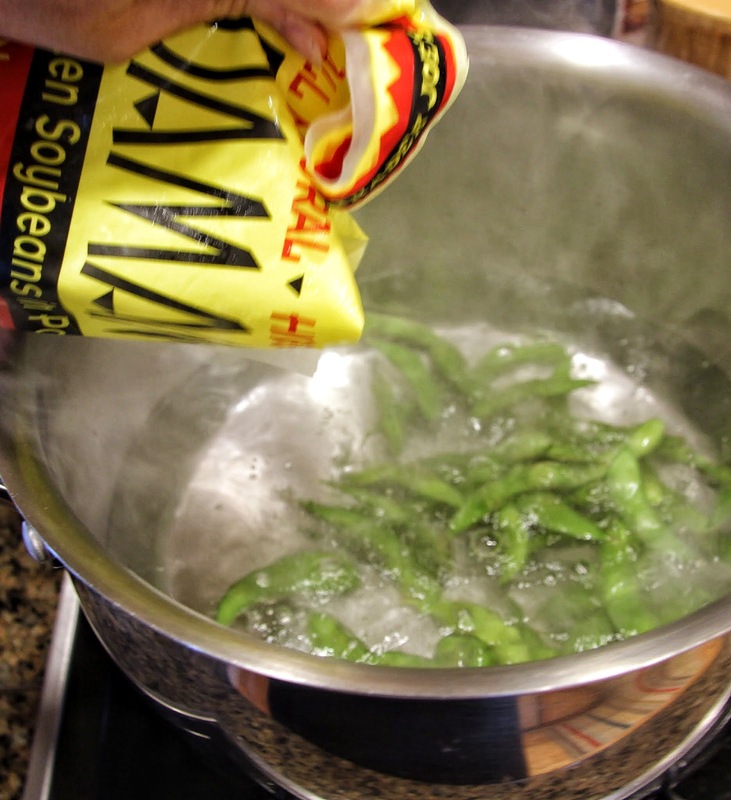 Note: If you have the handy microwavable pouches, by all means you may cook the edamame that way too! 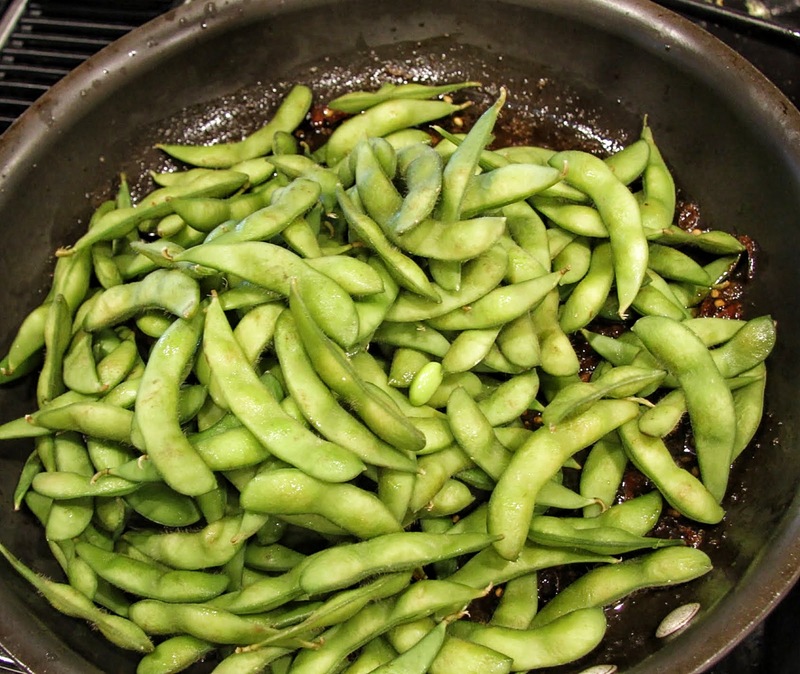 While the edamame drains, preheat a large skillet on medium heat; peel garlic; remove rehydrated peppers from water and chop (discard stems) – be careful to wear gloves/wash your hands to avoid burning your eyes. 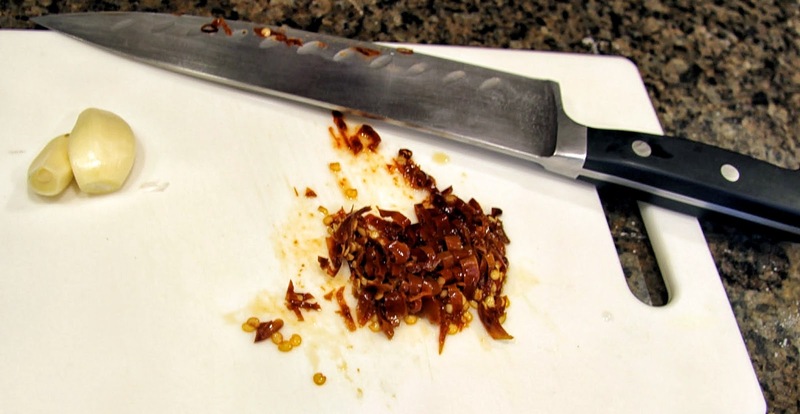 Note: As chili peppers can vary along with an individual’s taste buds, taste a small amount before proceeding so you have an idea of the heat you will be adding. 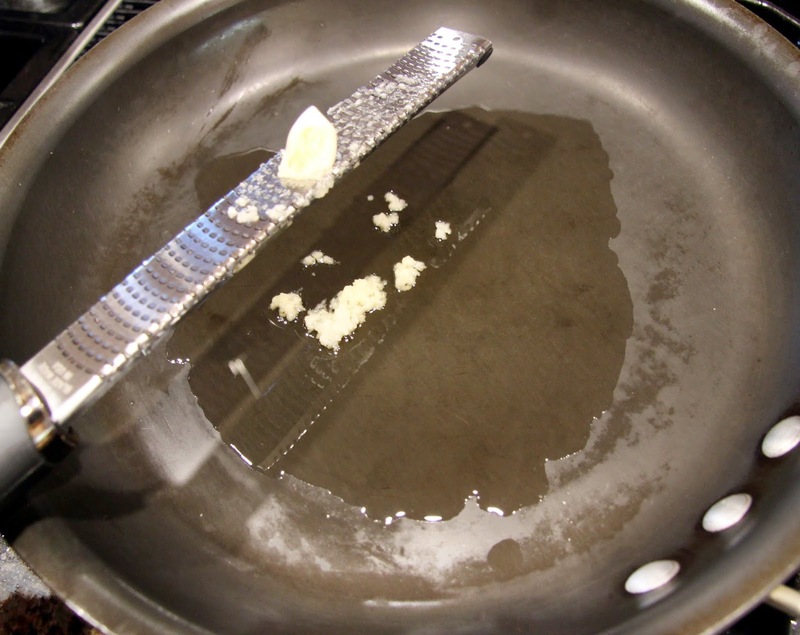 Add sesame oil to preheated skillet and grate in garlic with a microplane (you may instead finely chop the garlic if you don’t have a microplane). 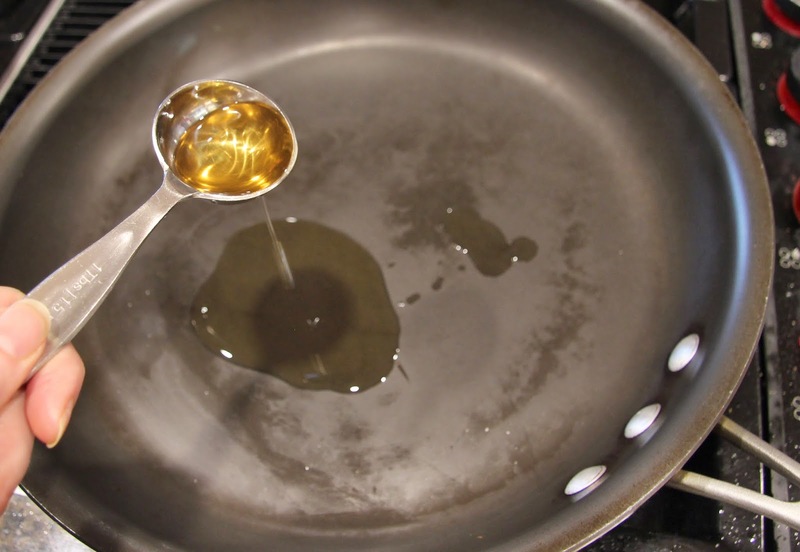 Allow the garlic to cook in the oil for a minute or two, making sure it does not burn. 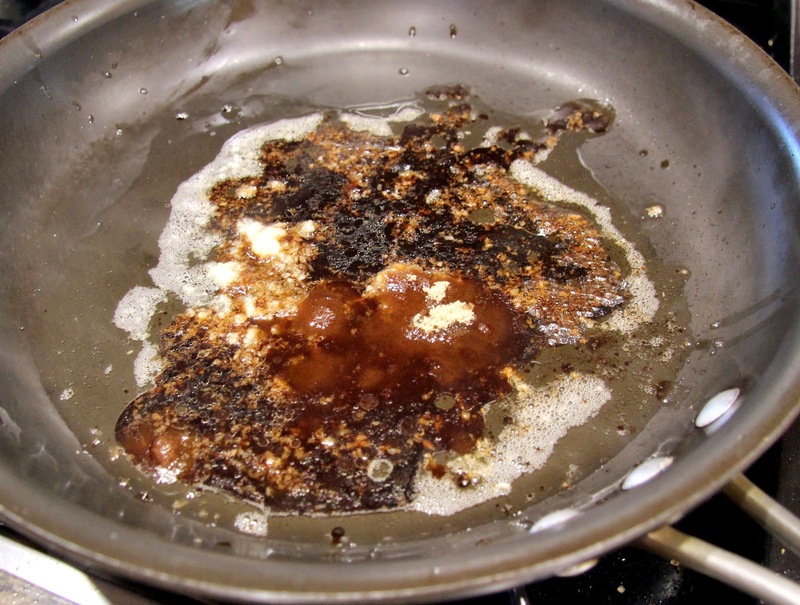 Working quickly, add soy sauce, Sriracha, brown sugar and lime juice. 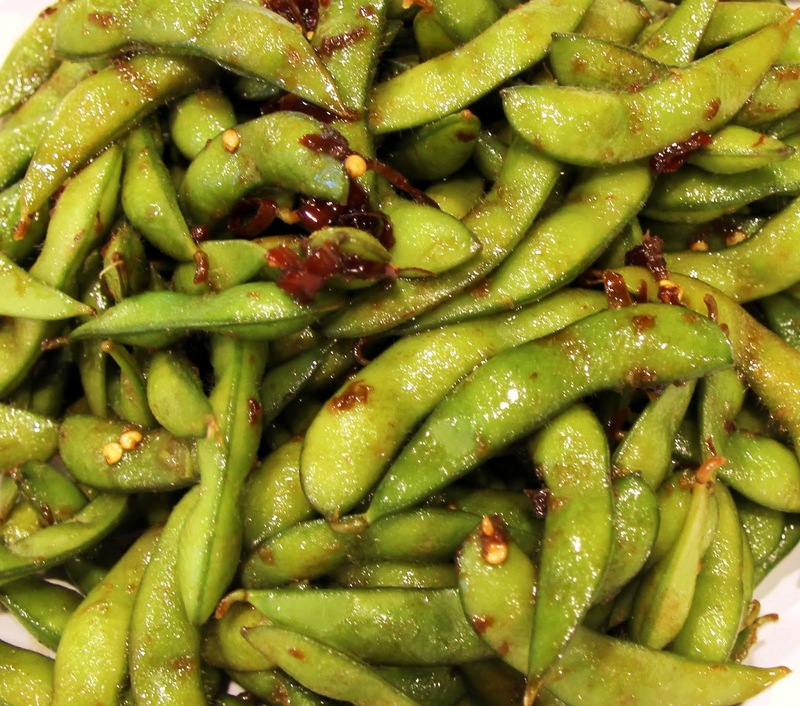 Stir to combine and bring to a boil then immediately add the edamame and stir to coat it. Transfer to a large bowl or platter and enjoy!